I have been using this Camomile cleansing butter for just over a month now, so I thought it would be a good time to do a review on it now that I have a pretty solid opinion on it. 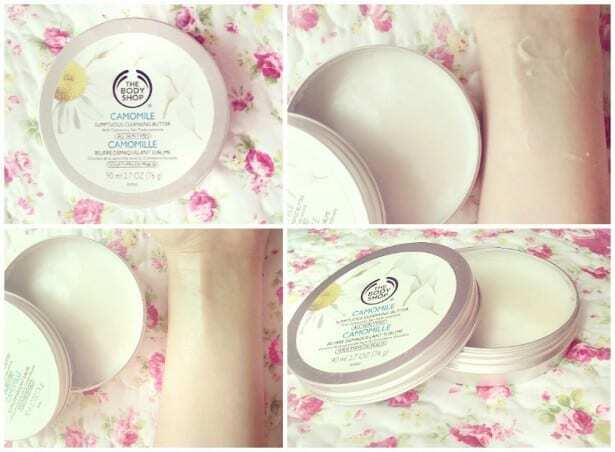 The packaging is really sleek and just classic body shop style, it is not bulky despite it being round, as there is not much depth to it. The fact that it feels pretty thin made me think that it really wasn’t going to last me very long, and that I would end up finishing the whole lot within a couple of weeks – but I couldn’t have been more wrong.A month later and I still haven’t even got halfway through, a little bit of this goes a really, really long way. Yes I did do that thing where I took far too much out the first time and regretted it instantly when I had too much cleanser and not enough face. I massage a tiny bit of this onto my skin for about 30 seconds to a minute, as you can see on the top right, it is quite a solid yet silky texture, which when rubbed into the skin turns into almost an oil that breaks down makeup so well. Then add a little bit of water which turns it into a milky texture and allows me to take everything off that little bit easier with a warm cloth. It works a treat on eye-makeup, spf and even double wear foundation which we all know can be an absolute nightmare. I love the fact that it doesn’t leave any residue on my skin, I don’t know why but I feel slightly on edge when there’s residue (is that weird? that’s weird right?). Even though I always double cleanse when I’ve been wearing makeup, this pretty much melts everything off the first time anyway, prepping my skin for the second cleanse and I feel reassured that I don’t have anything on my skin that I don’t want to be there. I use this in the morning as well, and it works really well as I never need double cleanse in the morning anyway. 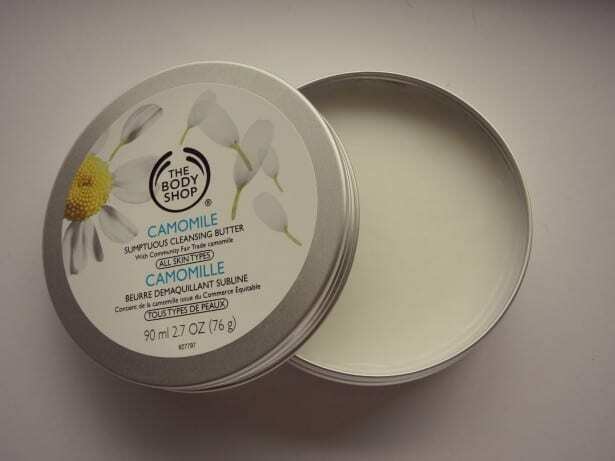 It is camomile scented, however it is not too prominent and thankfully hasn’t irritated my sensitive skin, which is always a worry for when trying out new products. For £12 I would definitely recommend this product, I think it will last absolutely ages, you only need the tiniest bit and it does such a good job at removing makeup and cleansing the skin to prep it for the rest of your skincare routine – what more could you want?